NEW ROOF 2018!! 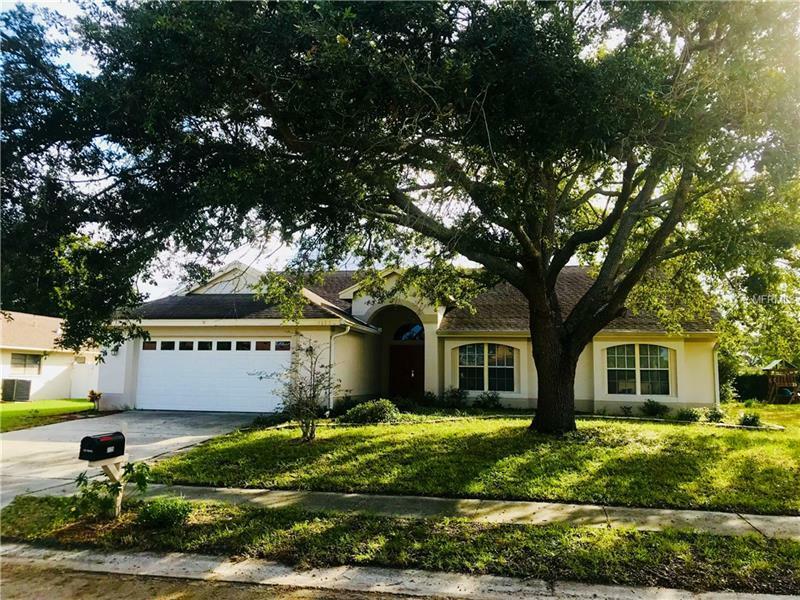 This well maintained Dunedin custom pool home located in Spanish Acres features 3 Bedrooms, 2 baths, 2 car oversized garage, vaulted ceilings throughout and a heated screened in pool! It is located just minutes to charming downtown Dunedin, Honeymoon Island state park, shopping, restaurants, and entertainment. Recent updates include, fresh exterior paint, updated kitchen, gorgeous bamboo wood flooring in the living areas/kitchen, updated baths, wood ceiling plank on the covered lanai area, new pool heater, newer AC and appliances. There is also a transferable termite warranty. The large master bedroom features a walk-in closet, French doors leading to the pool area/covered lanai, and there is an attached office off the bedroom. The other 2 bedrooms are nice sized also. This home is one of the newest in this subdivision being that it was built in 1995. This home is almost 1900 sq ft and is very spacious. The lot is 1/4 acre and the backyard has plenty of room for pets. Schedule your private showing today! Motivated sellers!